If you are business manager, chances are that you are aware that employer-employee relationships are essential for any well-run business. When the employees are also family members, it is even more critical to be sure this relationship is positive. Being aware of this is wonderful, but having a policy and procedure in place to continue to build upon that awareness is essential. 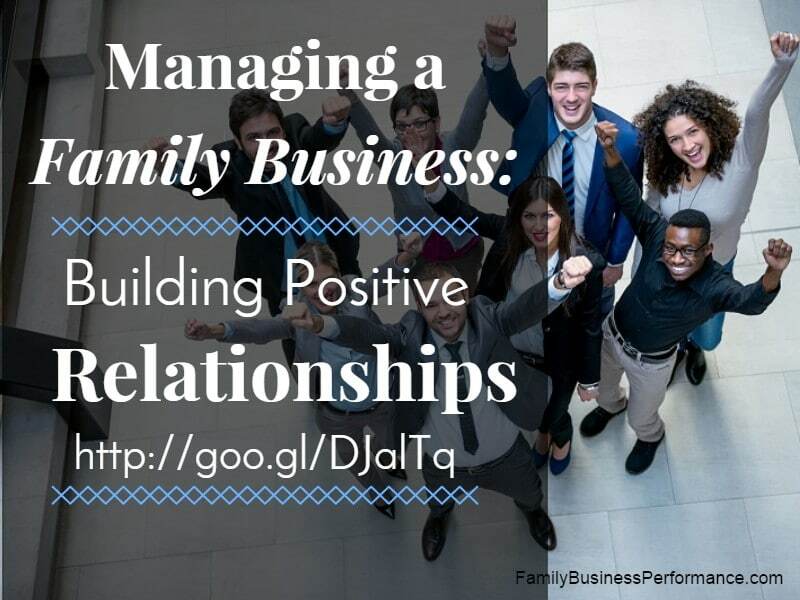 Here are several tips to use in order to incorporate a positive employer-employee relationship in the family business. In order for any relationship to be positive, there has to be some give and take. While you may need to put a little more pressure on a family member during a deadline, it is also a good idea to reciprocate after that deadline is successfully met. A quick lunch outside the office may be all it will take to let your family member know that you regard him or her in a positive light. This will most likely give them the incentive to want to perform just as efficiently in the future. If you are available to listen to your team members, even if it is only 15 minutes of your time, this will show them that you are interested in their opinion. When that team member has a stake in the business, this will help reduce family business conflicts and encourage better communication. When you brush your family member aside and later never comes, it gives the impression that you are uninterested in their input and unconcerned about their opinion. Sometimes we can get so caught up in the day-to-day operations of the family business that we forget there is a family outside of work! Your Cousin Jo and Aunt Sue are not just moneymaking machines or worker bees. They are human beings that have real life issues, as well. When you take an active interest and inquire as to how they or their families are, you take an interest in your company, as well. They will feel nourished when you take the time out to inquire about them as human beings. Be sincere in your inquires so as to make them understand you are genuinely interested. Whether it’s to listen to a complaint or spend some down time on a family picnic, taking and making time for your family members who are a part of the business is important. When you take time out to listen to a complaint and make an effort to come to some kind of reasonable solution, your family member releases much-needed negative stress and a positive work environment results in a positive business.